Indy Loves You: Monument Circle Sept 22, 2013, a set on Flickr. Indianapolis is great at rolling out the red carpet for special events like the Super Bowl and Indy 500. But what about other days? The days where people are just going about their lives: going to work, looking for a comfortable spot to eat their lunch, walking to the coffee shop to get an afternoon Americano. 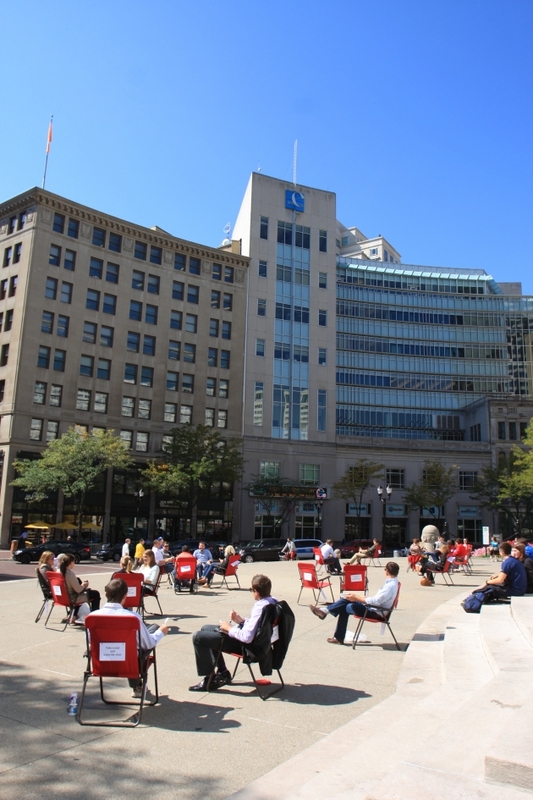 How do we more carefully craft the Indianapolis experience? As with most things Hoosier, it comes down to hospitality. So Dante and I put folding chairs on the Circle and invited people to linger, to relax, to look around and enjoy the city. They did and it was fantastic.